The metallurgy microscope XDS-3MET was developed especially for use in metallurgy. Due to its mechanical flexibility the XDS-3MET represents a high-quality metallurgy microscope. You can install different slides, Petri dishes or bottles on the table of our Metallurgy microscope. Thus the metallurgy microscope enables you various routine and research investigations, especially in the field of metallurgy. Because of the glass surface, you have a good overview of the lenses at the Metallurgy microscope. The stand of the Metallurgy microscope also provides enough space even for larger samples. 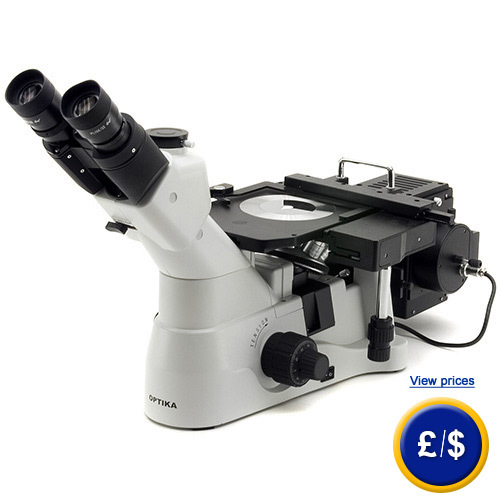 If there are any questions about this metallurgy microscope, please have a look at the technical specification below or call: UK customers +44(0) 23 809 870 30 / US customers +1-410-387-7703.. Our engineers and technicians will gladly advise you regarding the school microscope or any other products in terms of regulation and control, or scales and balances of PCE Instruments.